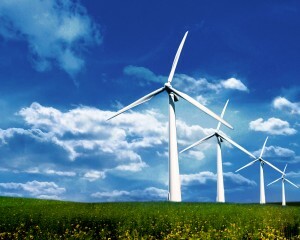 We are in an era of large and larger utility scale wind and solar farms around the globe. The variable nature of the fuel resource creates challenges that impact project interconnection, plant nameplate sizing, plant level balance of system design, and electricity marketing. Cost-effective storage sited on the wind or solar farm has the promise to deliver significant value for the owner. 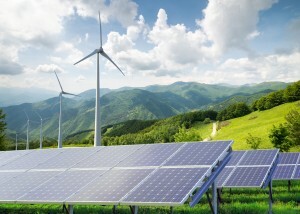 Act as a buffer and enable a wind or solar plant to be significantly oversized relative to each site’s fixed interconnection power limit. Increase the value of each kwh by enabling time-shifting of product from a low priced selling time windows into premium priced ones. Enable the plant owner to bid firm blocks of power into capacity markets at premium prices to the merchant rates. Help with grid integration via voltage support, frequency regulation and ramp-rate control. The team at ViZn Energy spent the last 8 years perfecting our unique battery to deliver all four of the above services from one platform. 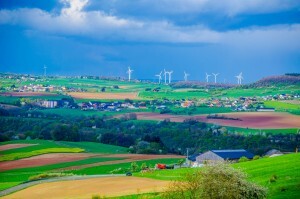 The technology gives the wind or solar farm owner the optionality to easily stack multiple planned or unplanned services across the 20-year life of the system. Unlike some of the currently popular battery technology, our systems can be deployed without worry near high-value grid and project infrastructure because it runs on a safe chemistry that is non-toxic, non-flammable, and non-explosive.